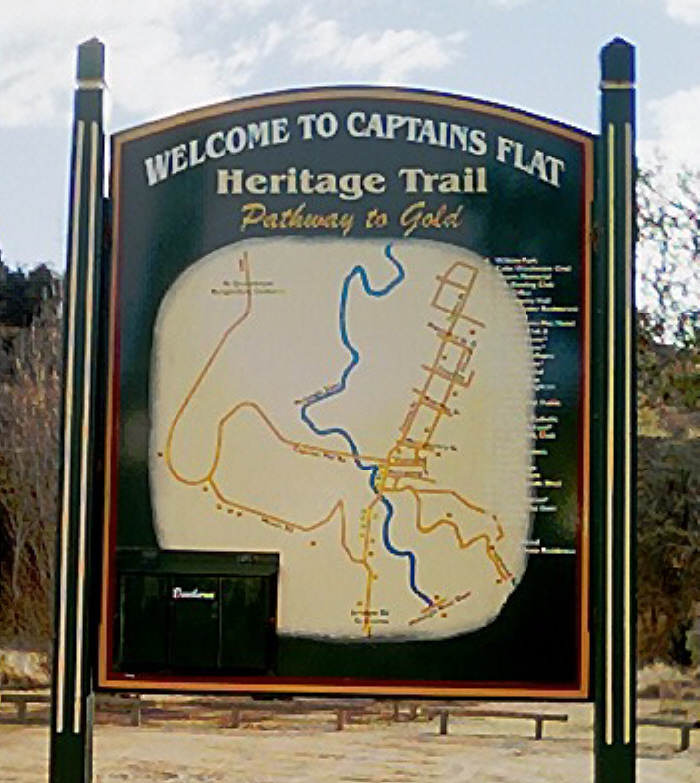 The Captains Flat Community Association received a grant to develop a Heritage Trail (click on the photo for a higher resolution version). The project is named Pathway To Gold. Pathway to Gold also funded production of a brochure about the town, the mine and the heritage trail. The brochure includes a map and guide to a self-guided walk around the town. The brochure is available in tourist offices around the region, in the town’s businesses, and is also available to download in .pdf form. A detailed guide to the walking tour is also available to download. The Trail was officially launched on Sunday 16th May 2004.